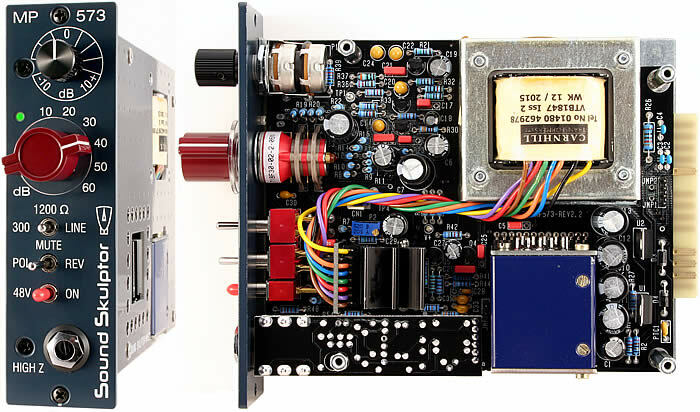 Since the days of vacuum tubes to nanotransistors today, each leap of the technology has seen the birth of a few outstanding products in professional audio which have become, over time, legends. Our goal is to revive these legendary products and make them accessible to all. We give them a modern form: Compact design, quick and easy build, some new features such as DI inputs, signal clipping LED's, relay switching , etc., in keeping with what makes their character. 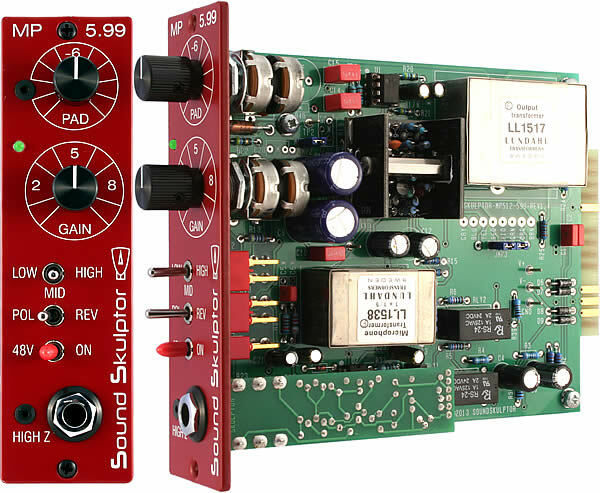 The Sound Skulptor products are slowly crafted with care, precision and many listening sessions in real conditions in our recording studio. The products are proposed in kit form, to minimize cost as far as possible. They are also available built and tested for the non technicians. It cuts down the cost : You are saving a major part of the cost which comes from workmanship. It is customizable : You will get many options of circuit topologies, components choice, and settings that will allow you to tailor your gear to your needs and get a unique sound. It gives you a better knowledge of your gear : By getting a better understanding of your gear you will be using it more efficiently and creatively. It makes you able to service it, should it, after many years of troublefree running, need a potentiometer or a switch replacement. 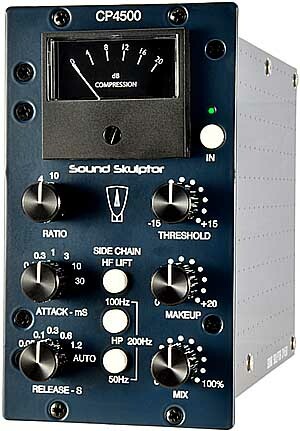 Why a Sound Skulptor kit ? A professional design: The Sound Skulptor products are designed by two highly complementary persons. one of them is a musician/audio engineer with fabulous ears and the other is an engineer with four decades of experience in electronics. From both inside and outside the products offer the best in quality and finish. A guarantee of success: Our kits always work! In case of difficulty, our technical support helps you to correct the issues. In the most difficult cases (seldom), our repair service troubleshoots your product. One single source: All the components are included in our kits, from the large transformers to the smallest screw, including those "impossible to find" components. This means a single shipping cost and no need to buy parts by 10 or 100. In the end, substantial savings. 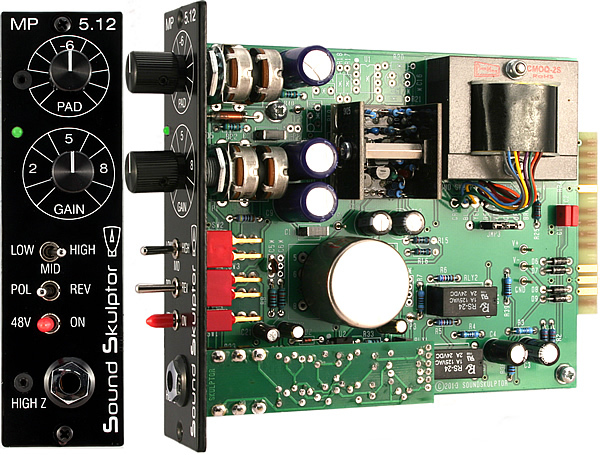 A serious partner: Sound Skulptor is a solid partner with more than 10 years of existence that will be able to follow you in your future projects. Every effort has been done in the design to make the building process easy. 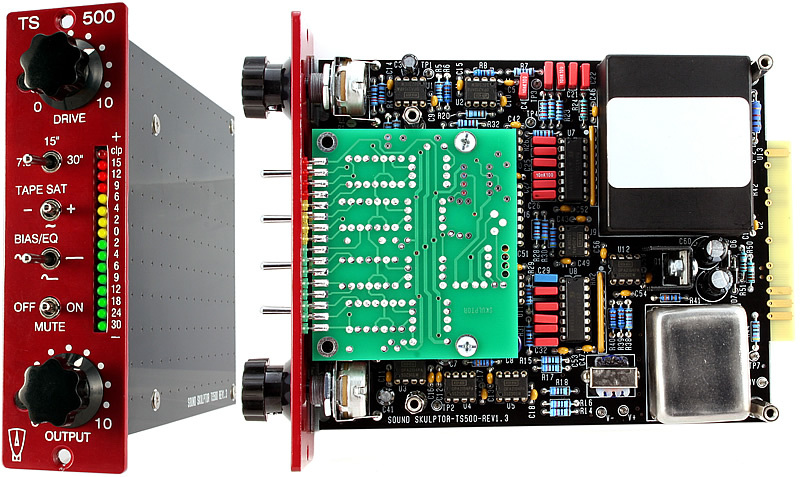 Complex hook-up wiring has been completely avoided by the use of PCB components (potentiometers, switches, transformers ...) and flat cable connections. Anybody that is capable of doing a clean solder joint, carefully following our step by step Construction Guides and using a digital multimeter should be able to successfully build these kits. Check our D.I.Y. page. In the case you would fail to build one of our kits, we propose a repair service that will fix it for you. If you are not confident enough in your DIY skills, there is an option of choosing fully assembled kits. 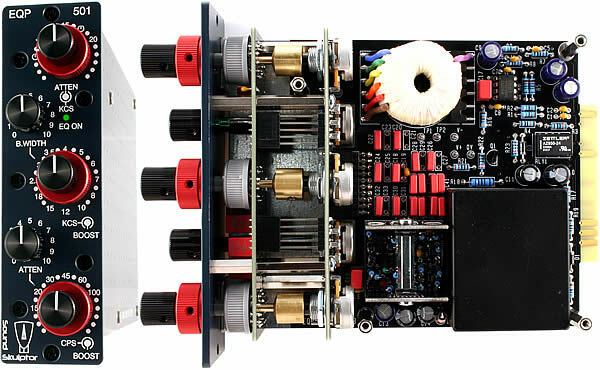 The MP 5.12 is a mic preamplifier based on one discrete Op-Amp, one Cinemag input transformer and one Cinemag output transformer. The MP566 is a dual-triode vacuum tube circuit preamplifier based on a design that has been used in several famous devices from the 50's, which has been adapted to the '500' format of API*. 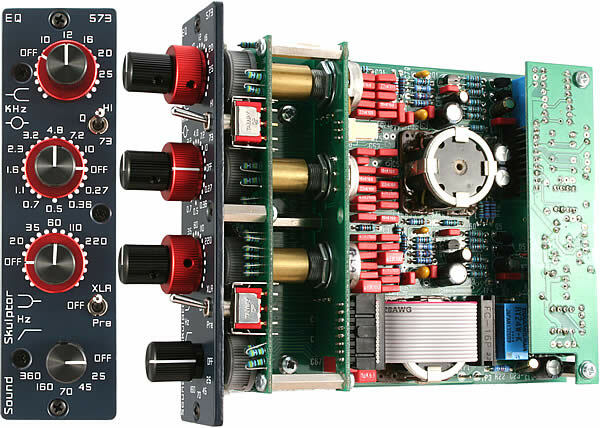 The MP573 is a two stages, single ended class A microphone preamp, based on the design that was originally used in the Neve 1290/1073 modules, that has been adapted to the '500' format of API. 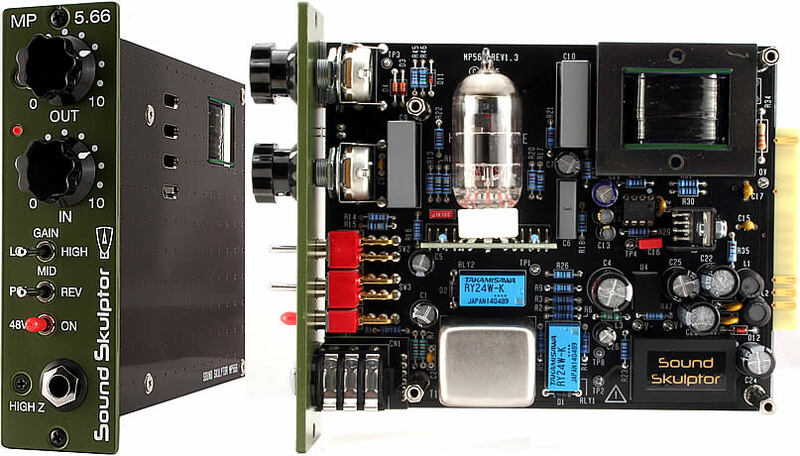 The MP 599 is a mic preamplifier based on one SK99 discrete Op-Amp, one Lundahl input transformer and one Lundahl output transformer. 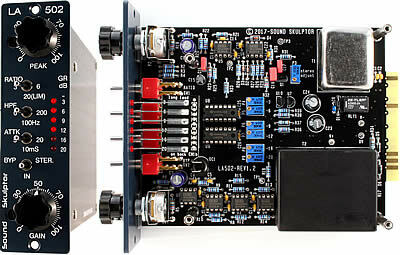 The EQP501 is a passive equalizer based on the classic PULTEC EQP 1A, adapted to the '500' format of API*. It is made of an all passive section followed by a gain make up stage based on a Discrete Op-Amp (DOA). 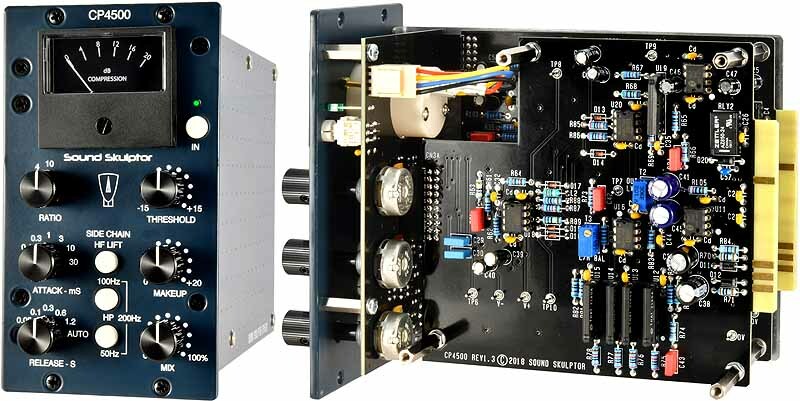 The CP4500 is a Stereo bus compressor based on the design that was originally used in a legendary British console, adapted to the '500' format of API*. It is famous for adding punch and glue to the mixes. 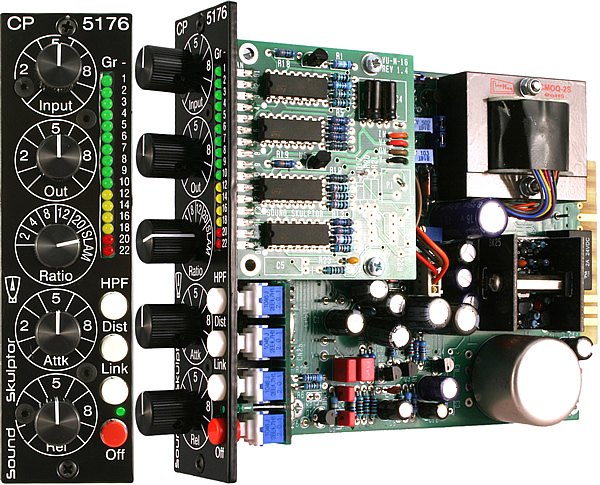 The CP5176 is a FET compressor based on the design that was originally used in the 1176 compressor, which has been adapted to the '500' format of API*. The LA502 is a soft knee, electro-optical compressor based on the LA2A/LA3A design, which we have adapted to the '500' series format. The TS500 Tape Simulator is the successor or the Stereo Tape Simulator. It has been adapted to the API* 500 format with a number of enhancements. The 501 is a single slot, 500 series compatible case and power supply. The MC624 is similar to the monitor section of a mixing desk: it lets you select one out of six stereo audio sources, adjust the level and route it to one of four monitor outputs.